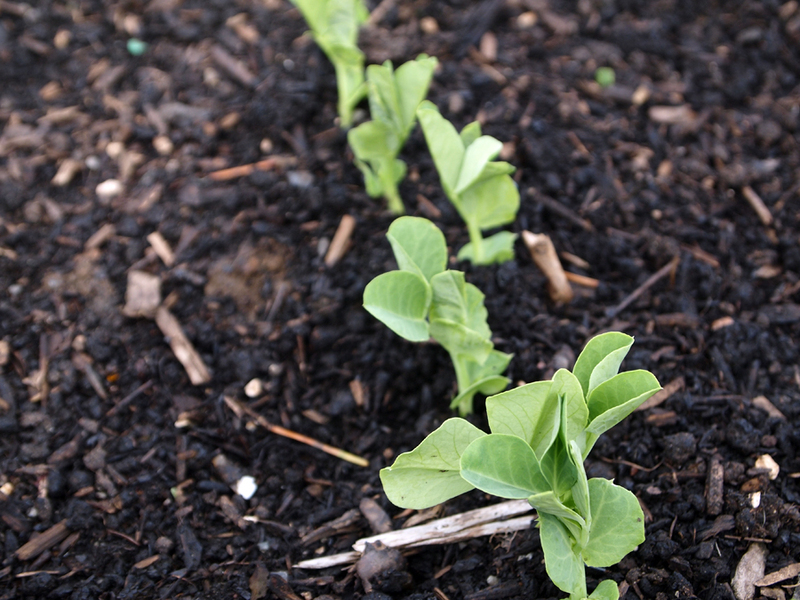 Our sugar snap peas - we built a little pea trellis for them last time we were there. Radishes - they're going to be ready to pick in a week! 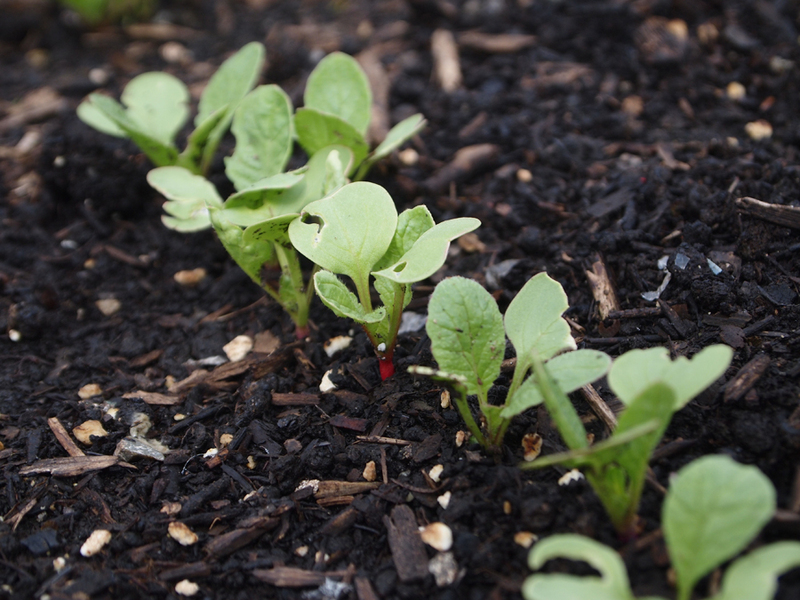 They grow so fast, we had to try them, even though we don't usually even eat radishes. Anyone know of any delicious radish recipes? 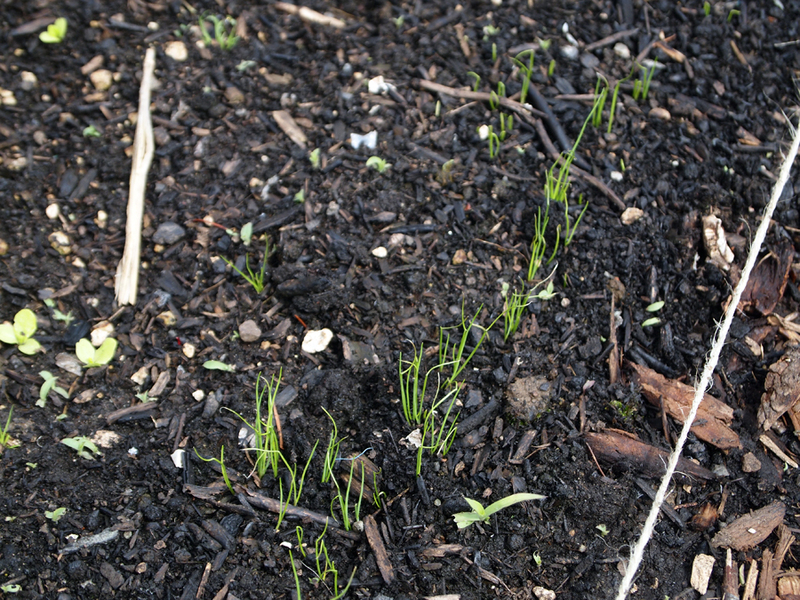 We planted two rows of chives here - everyone in our garden has huge clumps of chives with big purple chive blossoms on the ends and I'm so jealous! You can make really delicious chive blossom vinegar that's a pretty light purple color but none of them seem to be interested in making it. 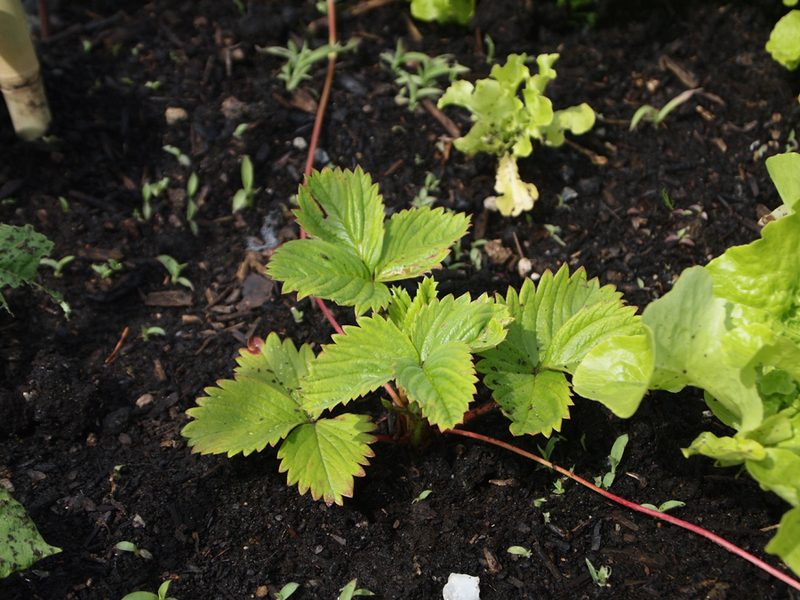 We inherited this strawberry plant when we took over the plot - it was really tiny and I accidentally chopped off one of its leaves with a shovel a month ago but it's doing just fine! I think we'll wait to see if it flowers and then maybe pull it up - we don't really have room for strawberries. 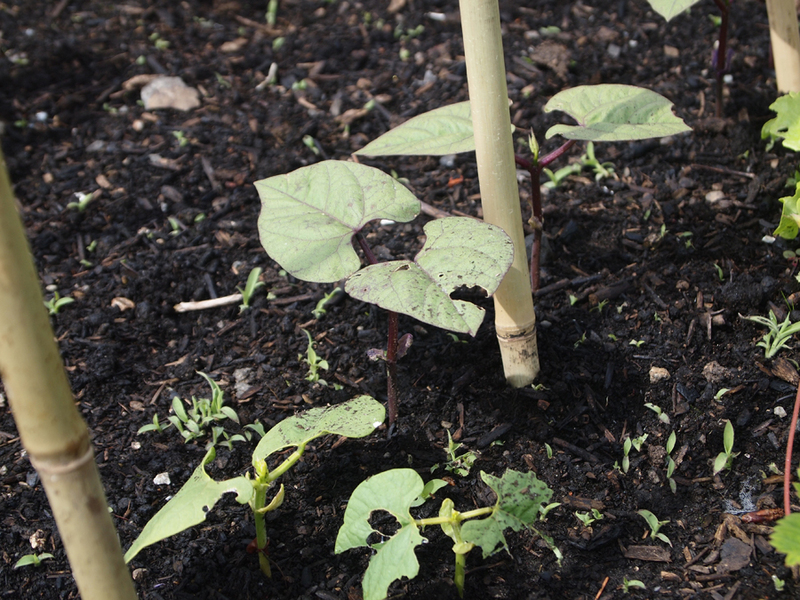 Our pole beans - they got a little decimated after the hard rains/hail. We pulled out the really messed up front one and most of the others are fine. 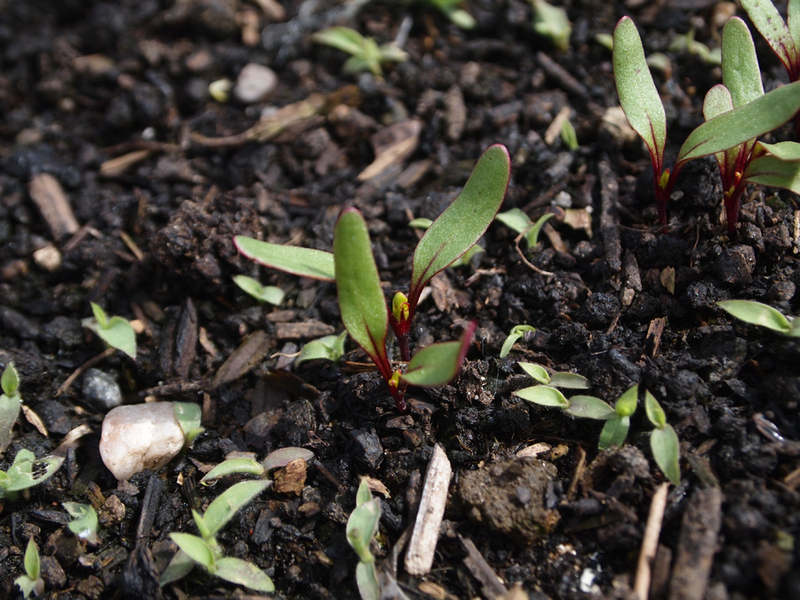 We have tons and tons of beet seedlings! When we were planting, we didn't exactly take "crop spacing" into account and just planted tons of things all at once. 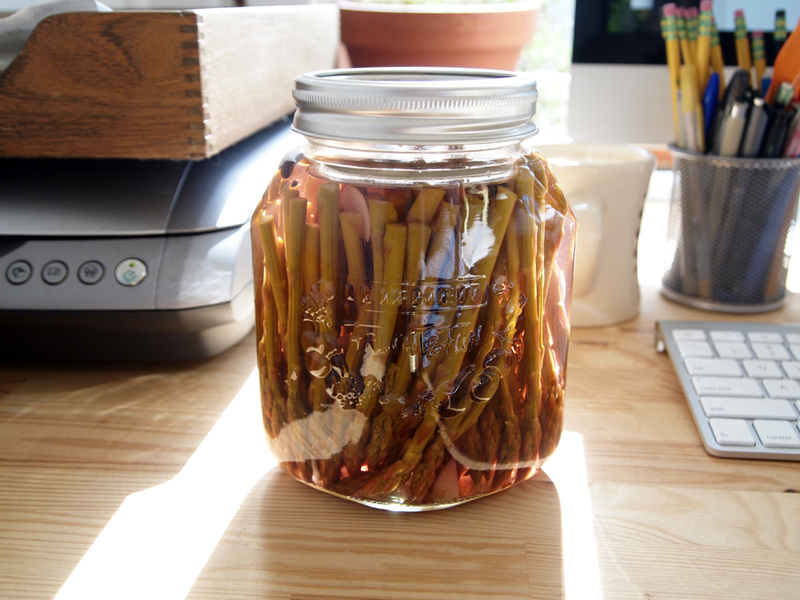 Luckily, pickled beets are one of our favorites! We inherited all of these lettuces, too! 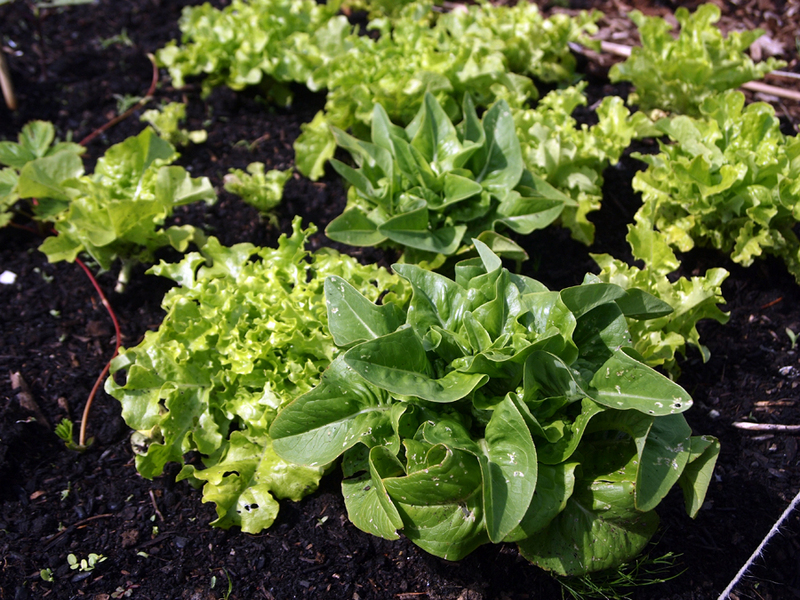 When we first came to our garden, there were lots of tiny baby lettuce seedlings that we moved into a space in our bed and they've prospered and gotten huge! We harvested some of them and are about to have our official first harvest meal! 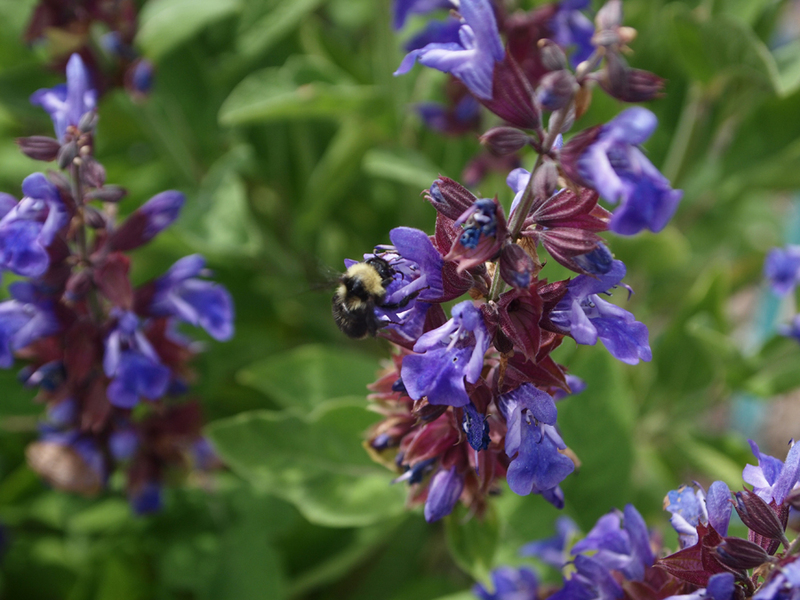 I'll leave you with a photo of a cute bee on our garden neighbor's flowers...there are tons of them, which is good for our gardens!